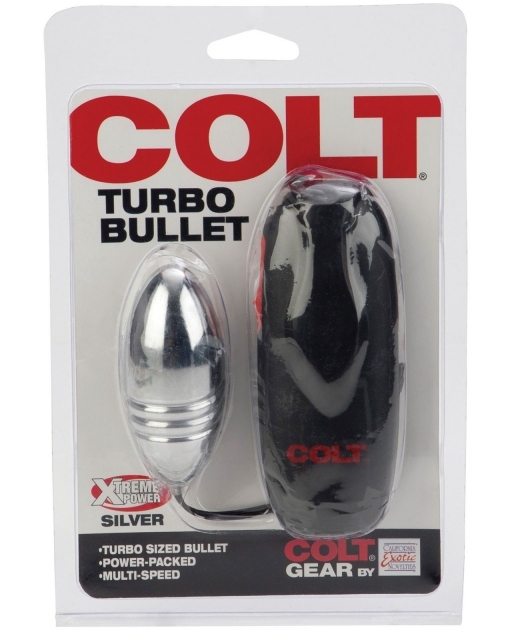 From Cal Exotics comes the Colt Turbo Bullet. It's a turbo powered, oversized, multi-speed vibrating bullet. It has an EZ grip controller with slide control. Requires 2 AA batteries. 3"x 1.25".